deprecated | Richard M. Hicks Consulting, Inc. 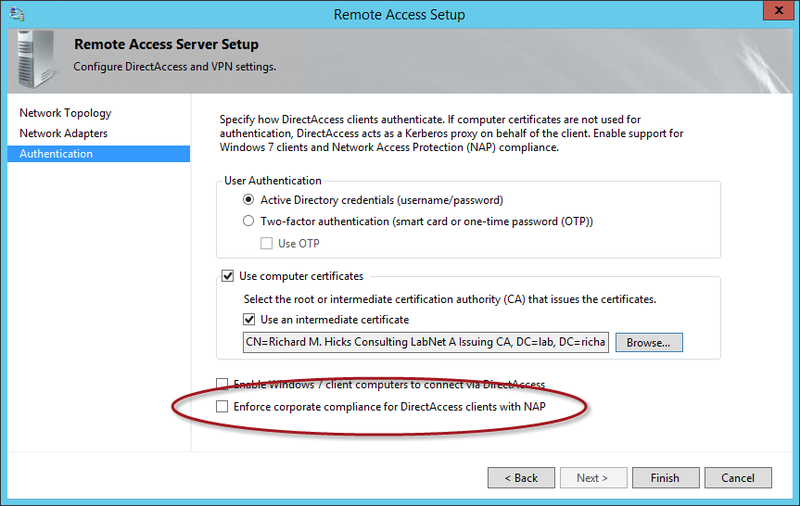 Note: Microsoft is encouraging customers to deploy Always On VPN instead of DirectAccess. 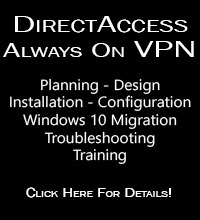 Read more about Always On VPN and the future of DirectAccess here. First introduced with Windows Server 2008, Microsoft Network Access Protection (NAP) is a technology that allows IT administrators to create and enforce system health requirements that must be met before a computer can connect to the network. 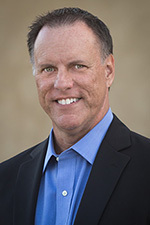 Common NAP enforcement points include Ethernet switches (802.1x), DHCP, IPsec, remote access VPN, and Terminal Services Gateway (TS Gateway) connections. 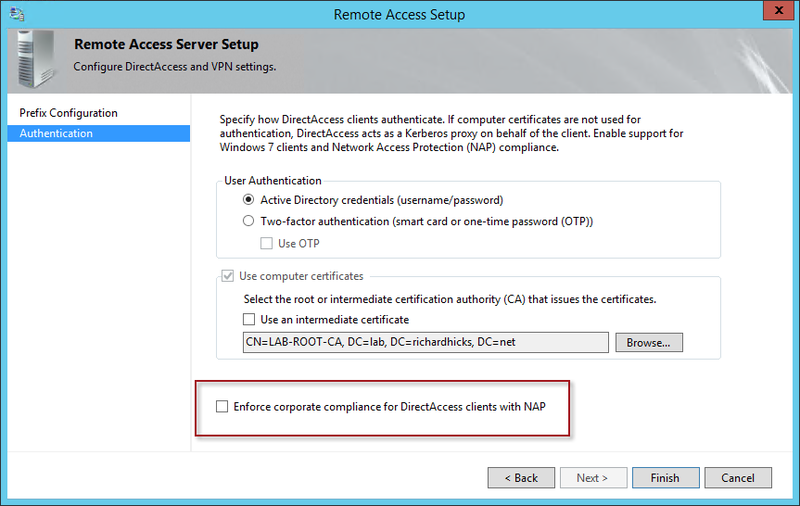 DirectAccess also supports NAP integration, which allows administrators to extend this solution to include their DirectAccess clients. Unfortunately, NAP has proven not to be very popular, and the adoption rate for this technology has been quite minimal. With that, Microsoft formally deprecated NAP in Windows Server 2012 R2, and removed it completely from Windows Server 2016. Crucially the plumbing for NAP integration in the Windows 10 client operating system has also been removed. For DirectAccess deployments that have been configured to use NAP, this obviously presents a problem. In this scenario, Windows 7/8 clients will function normally. However, Windows 10 clients will not be able to connect. Since NAP integration with DirectAccess is a global setting, all clients must conform to NAP. 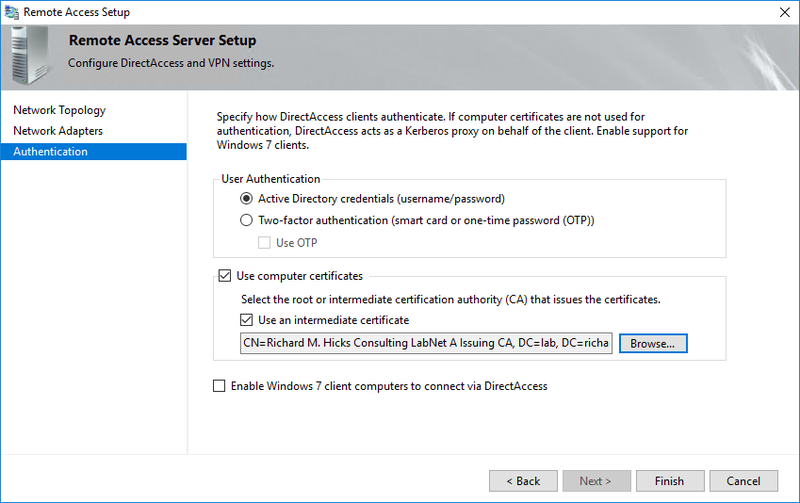 There is no option to exclude only Windows 10 clients from NAP. There are two ways in which to resolve this problem. The first is simply to disable NAP integration. 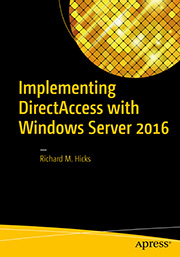 However, if you still want to enforce NAP requirements for Windows 7/8 clients, but at the same time also want to allow Windows 10 clients to use DirectAccess, a separate dedicated DirectAccess deployment without NAP integration configured will have to be deployed to support Windows 10 DirectAccess clients.